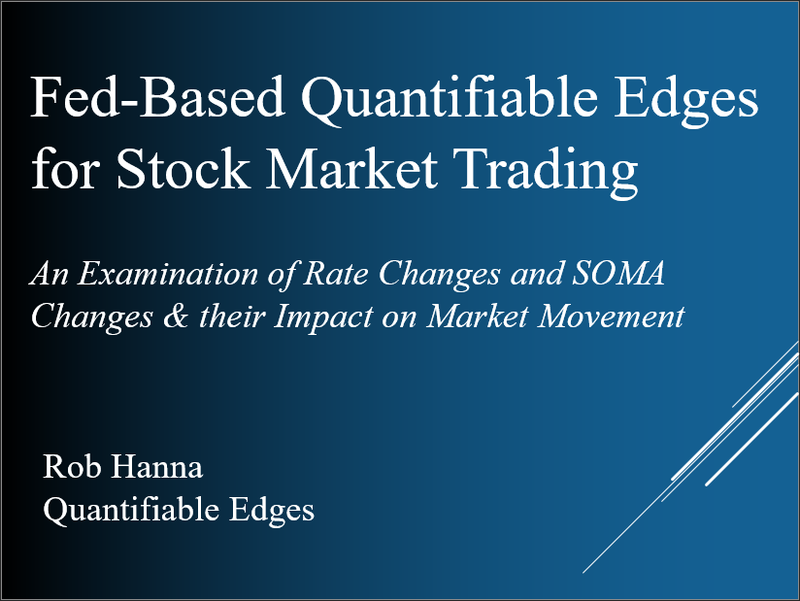 Home » Quantitative Study » Introducing the Quantifiable Edges Market Timing Course! 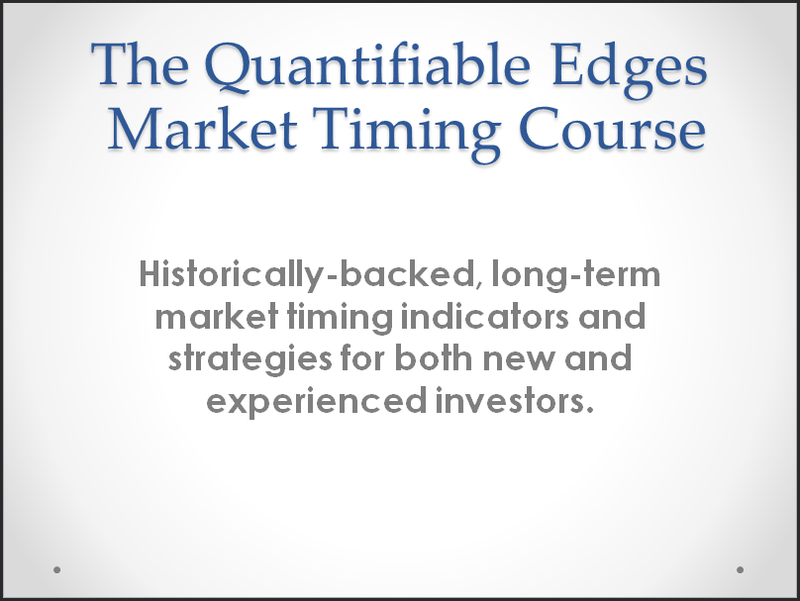 Introducing the Quantifiable Edges Market Timing Course! Quantifiable Edges has provided quantitative research and analysis since 2008. But until now we have never released a product focused on long-term market timing. That changed Wednesday with the release of the Quantifiable Edges Market Timing Course! Whether you are an inexperienced trader looking to improve your approach to timing your investments, or an active trader with an eye towards better determining your intermediate to long-term market bias, the Quantifiable Edges Market Timing Course has something for you. In the course I share 4 time-tested long-term market timing indicators. I show exactly how each one works, and provide detailed historical information about each of them. I then builds on the concepts and shows how different combinations would’ve performed over time. Below are some of the features included with the course. The course is divided into 10 “lessons”. Each of these is between 3-11 minutes long. Upon completion of the course, students may go back and review any of the lessons at any time. The lessons total about 1.25 hours of video instruction detailing the indicators, their history, different combinations, and expert analysis, including a discussion of how investors may want to utilize the indicators going forward. Detailed spreadsheets are provided that include calculations for the price-based indicators and full signal history dating back to at least 1971 and as far as 1960. Tradestation code is also provided, along with preset workspaces with the price-based indicators and strategies applied. Detailed Excel spreadsheets are provided at the end of the course, which show signals and performance metrics for all of the combinations discussed. Access to the Market Timing Course Indicator Charts page, where students can check the status of the indicators covered at any time. 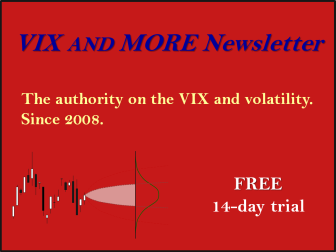 For more information, check out the Market Timing Course signup page.